This offer is for a studio with a full kitchen sleeping up to 4 people. If you have ever been to the Colorado Rockies, you know how spectacular the mountains, valleys, and rivers can be. 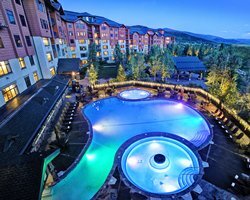 Now add the authentic western community of Steamboat Springs, the Steamboat Ski Resort, and the Steamboat Grand Resort Hotel and you have a combination of service, personality, style, and beauty found nowhere else in the Rockies. 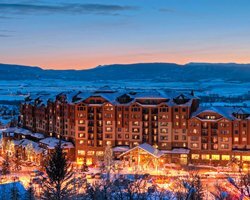 The astonishing ski area of Steamboat has grown from a single lift to one of North America's largest ski areas and most popular year-round resort. condominium hotel and conference facility. Bedrooms Are $45. Five Bedrooms Are $50.00. Visit The Website At Www.steamboatgrand.com.